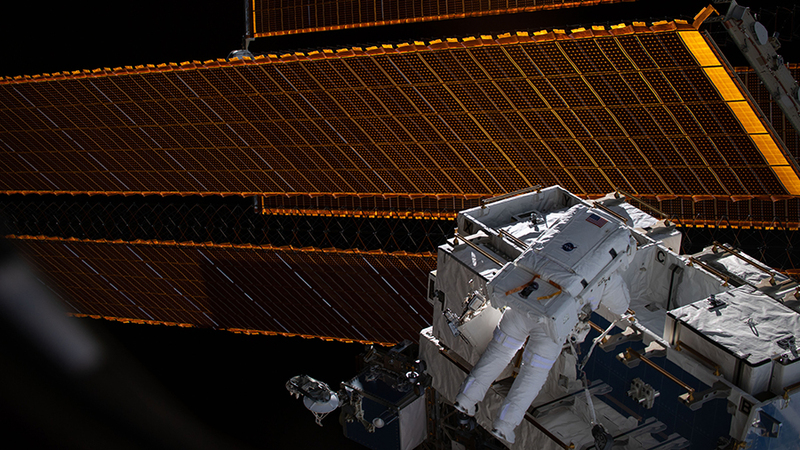 NASA astronaut Nick Hague, seemingly curtained by the International Space Station’s solar arrays, retrieves batteries and adapter plates from an external pallet. He and NASA astronaut Anne McClain (out of frame) conducted a six-hour. 39-minute spacewalk to upgrade the orbital complex’s power storage capacity on the Port-4 truss structure. Congratulations on the most recent space walk. Those astronauts are pretty incredible!!! Do the space walkers ever practice using their emergency suit thrusters in space? They practice using their SAFER (Simplified Aid For EVA Rescue) jet packs on a computer using 3-D software.